Don’t look now, but a different kind of futbol is gaining popularity in the South. Here’s how big-time soccer is growing below the Mason-Dixon line. it appears they have finally gotten the message. Big-time futbol is once and for all coming to the Southeast. This spring the newest Major League Soccer (MLS) franchise, Atlanta United FC, debuts, and soccer fans in the Music City are excited about Nashville FC, the newest club in the up-and-coming United Soccer League (USL), launching in 2018. And after two decades as a successful host for special soccer events such as the 1996 Olympics, US National Team friendlies, and college soccer championships, Alabama is hoping to get in on the fun. Simply put, it’s a great time to be a soccer fan in the South. 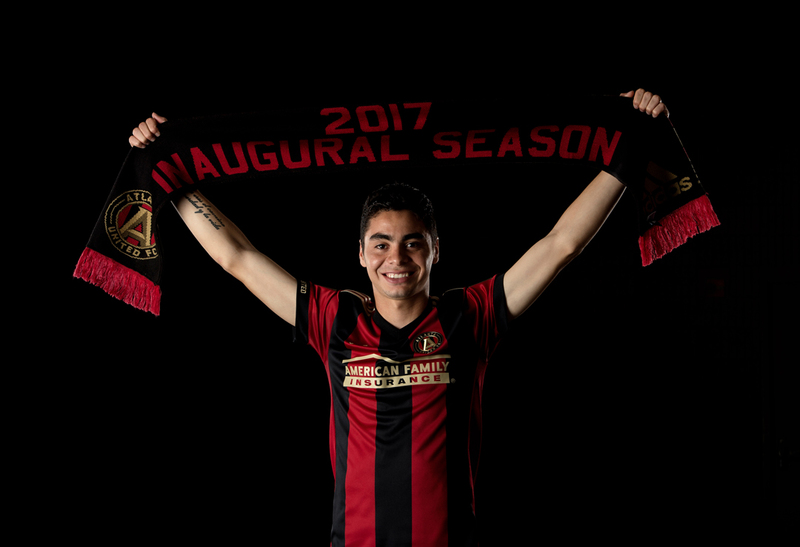 Paraguay International player and Atlanta United signee Miguel Almirón showing his United spirit. 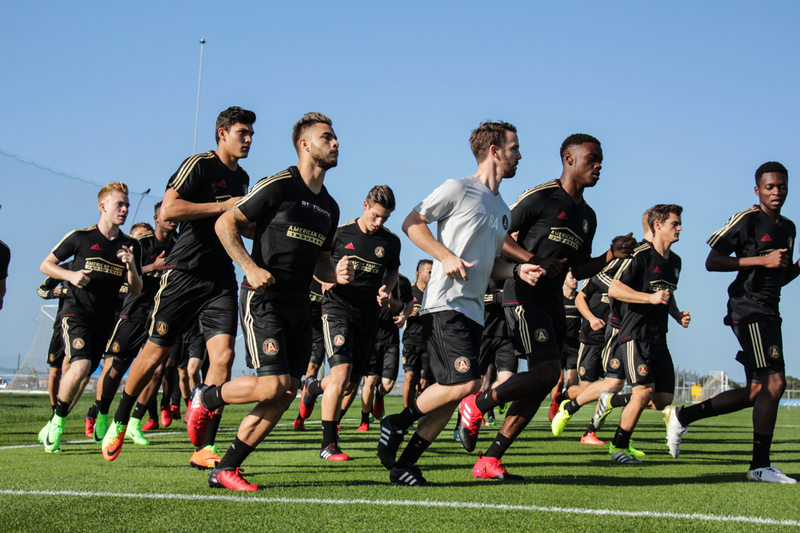 While Atlanta does have a history — albeit a mixed history, of professional soccer going back 50 years — it took a surprising amount of time for the city to bring an MLS franchise to town. Atlanta’s first pro team competed in the old National Professional Soccer League (NPSL) and the North American Soccer League (NASL) beginning in 1967, even winning the NASL championship in 1968. Although the team had some on-the-field success, the franchise, originally called the Chiefs and renamed the Apollos, folded in 1973 after several years of low attendance. The Chiefs revived in 1979 but folded again a few years later in 1981, four years before the NASL called it quits in 1985. 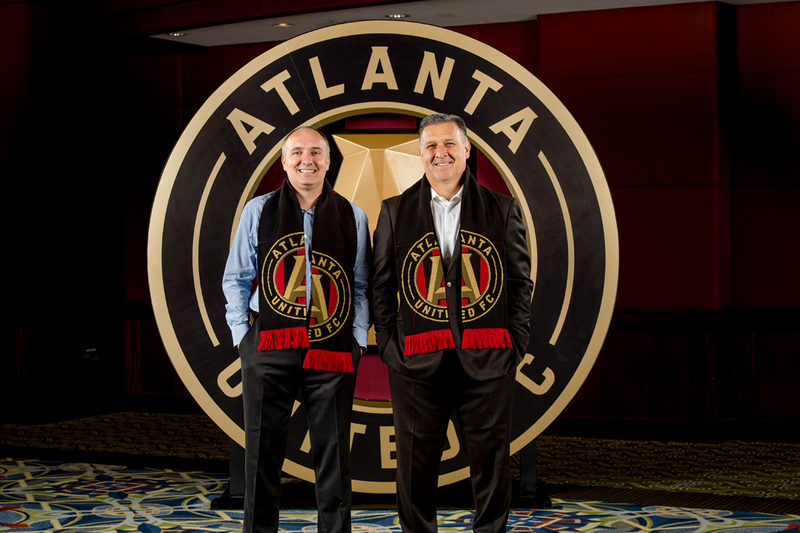 Atlanta United President Darren Eales and Manager Gerardo “Tata” Martino sport their official Atlanta United scarves in preparation for the club’s debut MLS season. 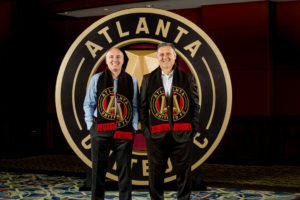 Despite being one of the first teams established in American soccer’s first top-flight professional league, it took close to 20 years for Atlanta to get on the MLS radar screen. The modern era of pro soccer, for many years, appeared to ignore the Southeast in general, Atlanta more specifically, despite being the largest metropolitan area in America without an MLS franchise. For years, the only teams in the South were FC Dallas and the Houston Dynamo in Texas — both Western Conference teams — and, beginning in 2015, the Orlando FC, the league’s second foray into Orlando. The next closest team to Atlanta is in Washington D.C., over 600 miles away. All that changed in April 2014 when the official announcement came that MLS was awarding Atlanta with an expansion team. Blank, the Atlanta FC owner, first submitted a bid to MLS in 2008, withdrawing the bid a year later due to stadium issues. However, negotiations reopened in 2012 after Blank began discussing a new stadium that could house both the NFL’s Falcons and a professional soccer team. The $1.5 billion Mercedes-Benz Stadium is almost a reality. It is expected to open in the summer of 2017 during Atlanta United’s debut season. The stadium will feature an eight-panel, retractable roof resembling a pinwheel. The stadium’s capacity for football exceeds 70,000; however, the facility transforms into a perfect soccer setting with seating for close to 30,000 fans. Blank said in the 2014 press conference that the stadium was designed with soccer in mind. “There will never be an MLS game in Atlanta where NFL lines are shown on the field,” Blank said. Atlanta United will play in the first sporting event at Mercedes-Benz stadium on Sunday, July 30, but will play home games at Georgia Tech’s Bobby Dodd Stadium until the stadium is completed. Atlanta will open its inaugural 2017 preseason schedule against Chattanooga Football Club at Finley Stadium in Chattanooga, Tennessee, on February 11. Which brings us to the current happenings in Tennessee. Nashville soccer fans crowd downtown during the press conference officially announcing Nashville Soccer Club as the newest club in the United Soccer League (USL). 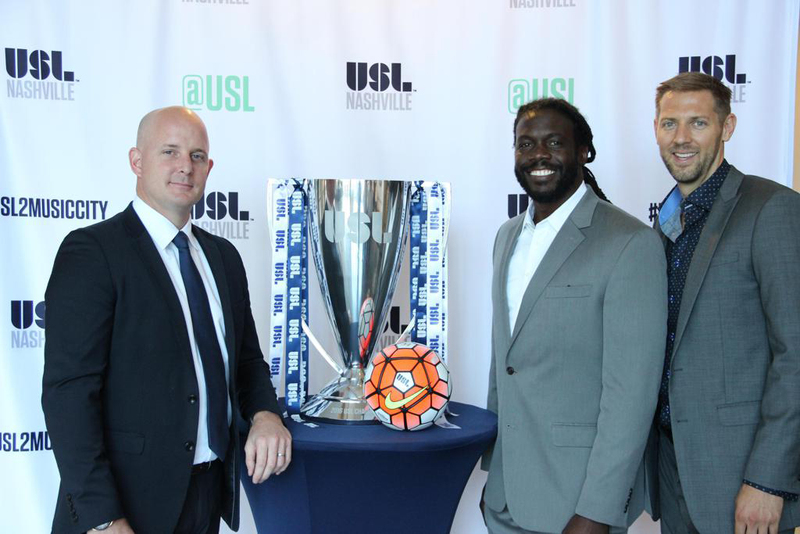 In July 2016, the USL announced it had awarded Nashville a franchise to begin play in 2018. Currently, the premiere Division II professional league in the United States Soccer Federation, the USL has experienced tremendous growth and popularity since its founding in 2011. The league also serves as the MLS Reserve League, has deals to broadcast live games on ESPN and online on YouTube, and many of the league’s clubs average more than 10,000 fans in attendance. A group of business and civic leaders wishing to bring that excitement to Nashville joined forces to bring the USL to town. The effort was undertaken by the Nashville FC ownership group – LifePoint Health President and COO David Dill, Provider Trust co-founder Chris Redhage, and Marcus Whitney, the founder and president of Jumpstart Foundry — and Nashville Mayor Megan Barry, all providing the energy and vision to make the Nashville Soccer Club a reality. 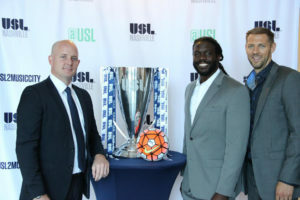 The Nashville Soccer Club ownership group, David Dill, Marcus Whitney, and Christopher Redhage, are all smiles after officially becoming the newest USL franchise. Semi-pro and amateur soccer have seen significant growth in the region as well. Tennessee is home to four National Premiere Soccer League (NPSL) teams, located in Memphis, Nashville, Knoxville, and Chattanooga. Despite being the smallest of the four cities with NPSL teams, Chattanooga FC (CFC) is without question the most successful and well supported team in the state, if not the country. The team has advanced to the NPSL National Championship game twice since the club’s founding in 2010. The team’s fan base, known as the Chattahooligans, are incredibly loyal, helping Chattanooga FC establish league season and single-game attendance records. 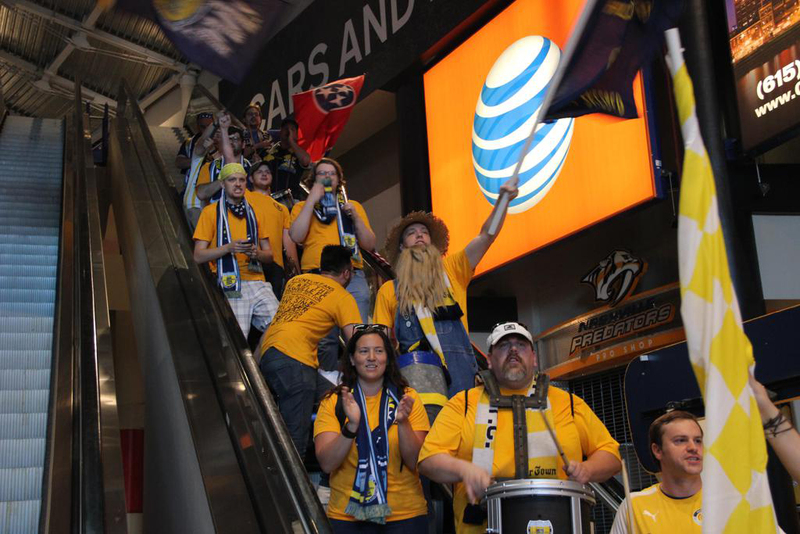 During the 2014 season, more than 8,800 fans attended a Chattanooga FC playoff match against the Sacramento Gold. In 2015, an astounding 18,227 fans watched CFC host the New York Cosmos B in Finley Stadium, a U.S. 4th Tier record. 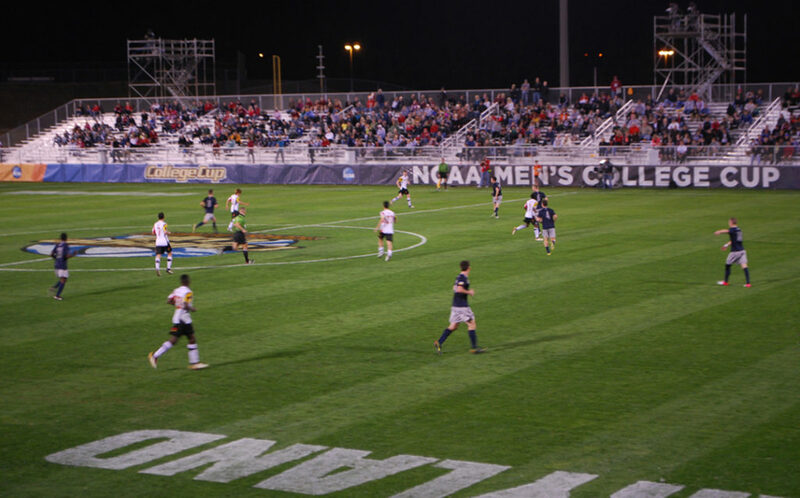 Directly to the south in Alabama, soccer is experiencing a period of growth and interest spurred by a single event more than 20 years ago. In July 1996, more than 83,183 fans watched the US Men’s National team open the Olympic soccer competition against Argentina. The game drew the largest crowd ever for a sporting event at Legion Field, once the home of University of Alabama football during the Bear Bryant era. In all, Birmingham hosted six men’s and three women’s games, averaging more than 37,000 per match. While the state hasn’t made any serious forays into professional soccer yet, Alabama has become well known as a college soccer destination. Since 1996, Alabama has hosted 20 NCAA and NAIA collegiate national championships. The NAIA has chosen several Alabama cities to host its men’s and women’s championships 16 times. Birmingham hosted the men’s title game from 1996-98, Orange Beach from 2010-11, and Montgomery in 2012-13. The women’s title game was in Mobile in 1998 before finding a semi-permanent home in Alabama over the last eight years, 2009-11, in Decatur, and every year since in Orange Beach. The NCAA Division II men’s and women’s national championships took place in Orange Beach in 2007. The Birmingham suburb of Hoover caught the big prize, however, landing the NCAA Division I National Championship in 2011-12. Georgetown University taking on the University of Maryland in the semi-finals of the 2012 College Cup NCAA Division I Soccer Championships at the Hoover Metropolitan Stadium, Hoover, Alabama.